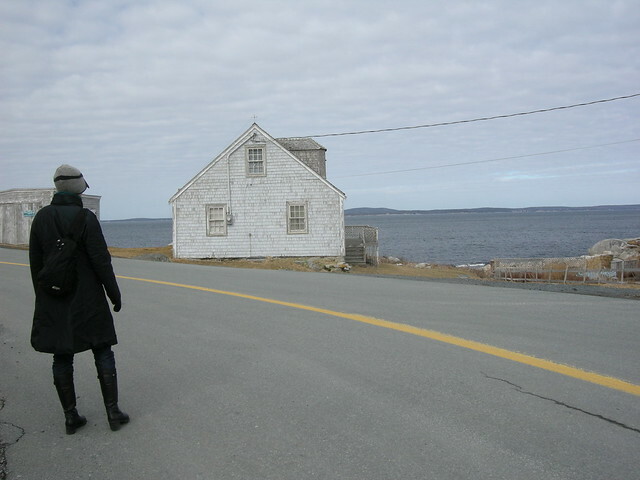 Two weeks of blogging silence is due to the fact that I had a trip to Halifax Nova Scotia last week, partly work (for which I had to use valuable potential sewing time to prepare) and partly pleasure. I did manage to vanquish the bound buttonholes but got very little else done in the sewing department. The buttonholes will match the piping perfectly because I am using the same black fabric for both. Considering that this fabric is pretty ravelly the buttonholes weren't too hard to make. I used my usual technique except that I did not try to press open the teensy tiny seam allowances because the fabric used for the lips is much less bulky than the fashion fabric. The fashion fabric fills in the lips very nicely and the relatively thin lip fabric doesn't make the buttonholes feel much thicker than the rest of the jacket front. Nor did I attempt to sew the ends of the buttonholes by machine, since I thought the tiny triangles would disintegrate with the handling that would have had to happen while I wrestled with them at the sewing machine. Instead I took tiny hand stitches to finish the ends (short sides) of the buttonhole and then hand back-stitched in the ditch to anchor all layers along the long sides. I think the buttonholes look pretty good (at least from a polite viewing distance). This is a very bad picture of the sock, but does sort of prove that we had a partial view of the Halifax Citadel from our hotel room window. As I make more socks, I have learned that a snugger fit is better than comfortably loose. These are the closest fitting socks I have made yet, so much so that I was a bit worried they would be too small. But the wool relaxes and the fabric stretches slightly when worn so they are very comfortable but do not slide around when putting shoes on. I immediately started another pair the same. This is the "Ridgeline" master pattern from Cat Bordhi's New Pathways for Sock Knitters book. I've also recently started knitting a summer top in lace weight yarn (slubby cotton) which is scary skinny stuff. So far I have knit about 12cm from the cast on edge which makes it about 40 rows. It's quite a different knitting experience, not to mention slow going. Even sock yarn feels very substantial in comparison. 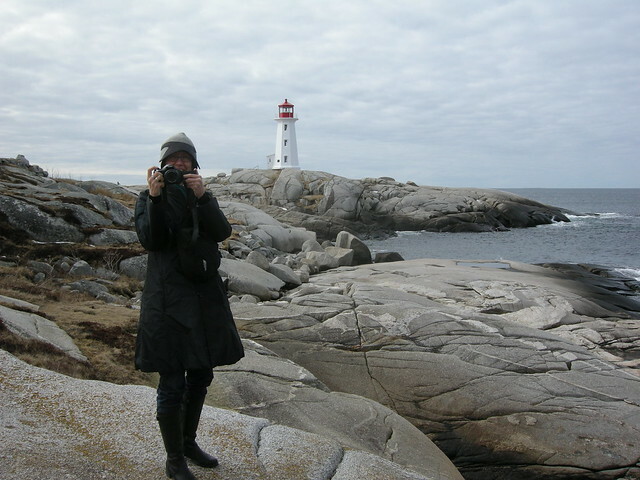 I leave you with a couple of pictures of The Sewing Lawyer, wearing this coat (perfect for a blustery March day), at Peggy's Cove. I swear it is impossible to take a photograph there that doesn't turn out looking exactly like a post card or a painting by Alex Colville. I love sewing with cushy textured wool. It's so forgiving! This fabric is so thick and resilient that I decided it needed minimal interfacing on the under collar and stand, the front edge of the jacket, and the skirt waistband pieces. I'm using Pam Erny's Pro-Weft fusible. 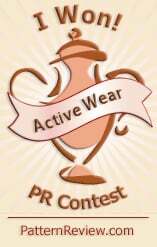 It stabilizes the fabric (which has quite a bit of natural give) without changing its hand appreciably. 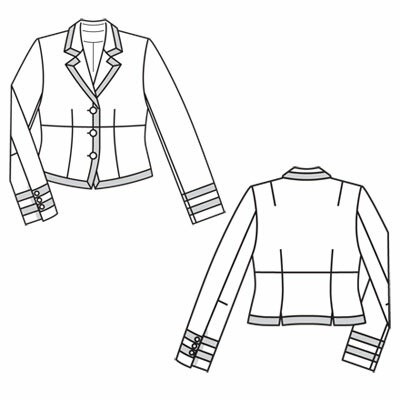 I quickly assembled the jacket fronts and backs, and then paused since I'm planning to make three bound buttonholes. One has to fortify oneself for bound buttonholes, although I'm confident that in this fabric, I could make many mistakes and no one would ever notice. In the meantime I decided to test out the piping on the skirt. This caused me to stop and ponder sewing order. 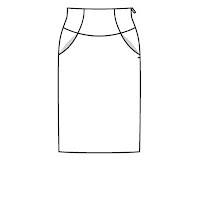 Burda instructs sewing the lower front skirt (with pockets) first, then the lower back (which has no CB seam). The right side seam is sewn. Then the waistband is constructed, except for the left side seam (which has the zipper). The entire waistband is then sewn in one pass, and the left side seam with zipper is constructed last. Phooey to that I say! First, I find it easier to insert the zipper in the relatively straight CB so I made a seam there. This also allows me to make a back vent, for walking ease. A brief word on fitting: This pattern is meant for quite stretchy cotton/lycra twill and as designed it has almost no ease. All the PR reviews showed it was very tight. Based on flat pattern measurement, I added a 1cm strip down the CF and CB (4cm or 1.5"). This gives about the right amount of ease. Then all I had to do was fine tune the shape of the side seams. Back to construction. I like to put in the zipper flat, then sew the side seams last. 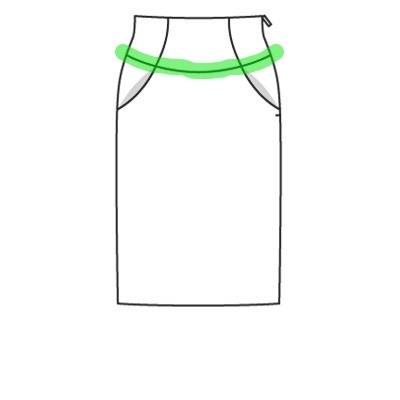 This allows me to do fine changes to improve the fit as I sew. Normally I would make the front starting with the pockets, then apply the waistband in one pass, as illustrated in green at right. However, I'm piping the seams shown in pink at left. 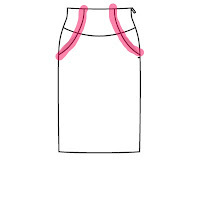 I wanted a continuous line of piping which would be impossible if I sewed the waistband seam last. So I changed the sewing order. It isn't all that hard. 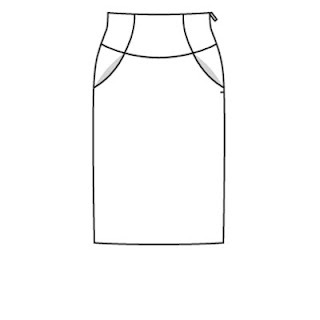 First I sewed the CB waistband to the lower skirt front (the curved waistband seam between the lines of piping). Then I piped the edges in a continuous line. Then I attached the pocket facing piece, but stopped sewing at the waistband seam. Next, I attached the side waistband at the piped seam, again stopping sewing at the waistband seam. Ideally there is no more than a tiny gap between the two. Finally, I attached the side piece, which forms the back of the pocket. I sewed the top seam first, again stopping at that point (or as close as I could get to it) where all the seams meet. After that it was an easy task to sew the pocket bag. The last step was to anchor the waistband seam through all layers by stitching in the ditch (did I say this fabric is very forgiving?) for a centimetre or so. It's invisible. For piping and the pocket facings, I'm using left over black wool fabric from these pants. I'll do the bound buttonholes in this too, as narrow and unobtrusive as I can make them. Later. I finished cutting out the jacket and skirt last night and the biggest left-over bit of my 2m of fabric is about 35 x 45 cm (maybe 1 sq.ft.). I sure hope I didn't make any mistakes! Where do you think piping would best be inserted?